If you have bad credit, are in debt, or are tired of getting turned down for credit or loans, then this is for you. A lot of people assume there are no negative marks on their credit report, when in fact there may be errors contained in your report that you don’t even know about. Your credit history is a record of how you are currently managing your credit accounts and how you have handled your credit in the past. If you have bad credit, you may find it difficult to get loans, mortgages, credit cards, or do things that require a good credit history. There are proven techniques you can use to get your life back together. The first step is to review your credit report. Before you start guessing about your credit report, order a copy of your report. If you have been denied credit within the past 60 days, the credit bureau will provide you with a copy of your report free. Once you have received your report, carefully review the items and note any inaccurate, incorrect, erroneous, misleading, or outdated information. If you are showing negative items, you will want to have them removed. To dispute a negative item on your report, contact the credit bureau that supplied the report and tells them what information you believe is inaccurate. Send your letter by certified mail, return receipt requested. You do not want any creditor or credit bureau claiming they did not receive your request. Once the credit bureau receives your dispute letter, they are obligated to investigate it and inform you of the results of the investigation. They must provide you with an updated copy of your report. If you disagree with the outcome, you can add a consumer statement to your credit file. The law allows you to file a short statement of 100 words or less on your behalf. The credit bureau is obligated to provide that information to anyone reviewing your credit report. You may ask that a corrected version of the report be sent to any businesses that received a report on you within the past six months. Job applicants can have corrected versions of their report sent to any employers who received a report for employment purposes during the past two years. Apply for a charge account at a local department store. Stores will often make you a loan, by means of a charge card. Make sure you will be able to repay the bills on time. Ask a relative or friend with a good credit record to cosign on your application for a small loan. Payback the loan exactly according to the terms. Deposit funds with a financial institution to serve as collateral for a loan or credit card. 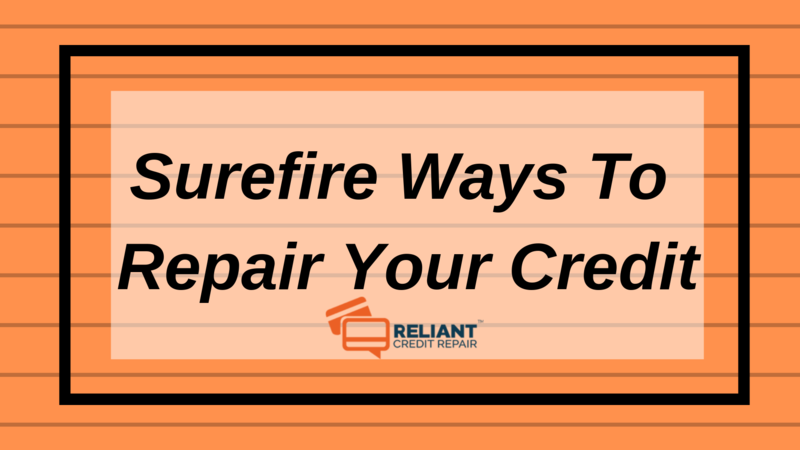 Now that you have the right information, you can look forward to a brand new life with good credit.